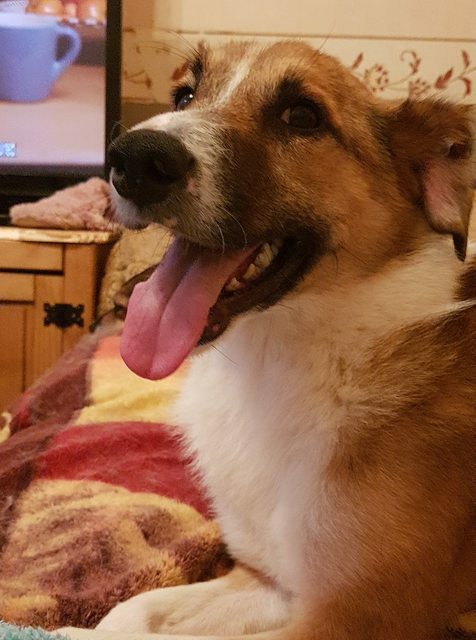 Fig is a four year old medium sized Cross-Breed. 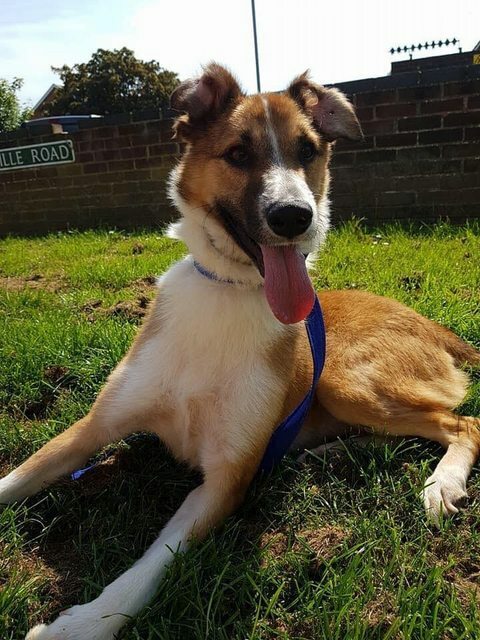 Fig is fostered in Norfolk (FR007). 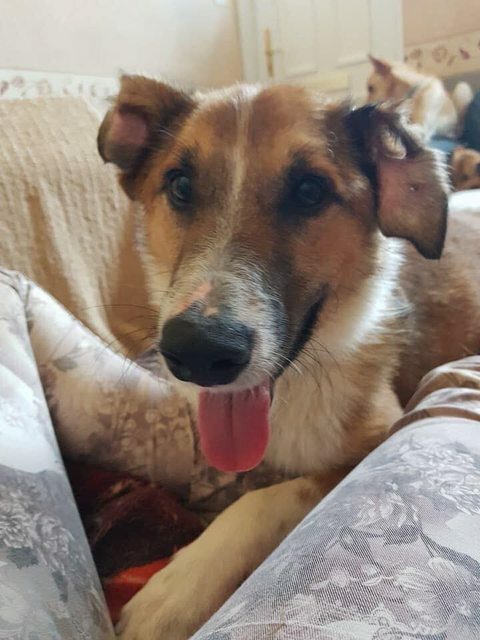 Fig was caught from the streets of Romania by the dog catchers and taken to the Radauti public shelter. The shelter is always overcrowded and fighting is rife and Fig was picked on by the other dogs. After he was badly attacked for a second time he was removed from the pens and placed in isolation for his own safety. Unfortunately his sanctum was a dark cupboard sized pen in the depths of the shelter where his mental state was now at risk due to the deprived environment. We were asked to take him as an emergency case and he came to us early last year. 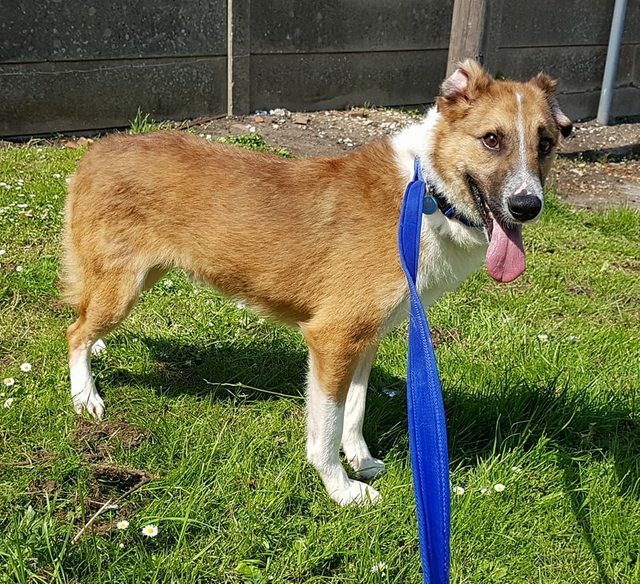 Fig is a happy and waggy tailed playful boy who adores humans and still loves other dogs despite his ordeal. Fig is the class clown and loves nothing better than to make his loved ones laugh. 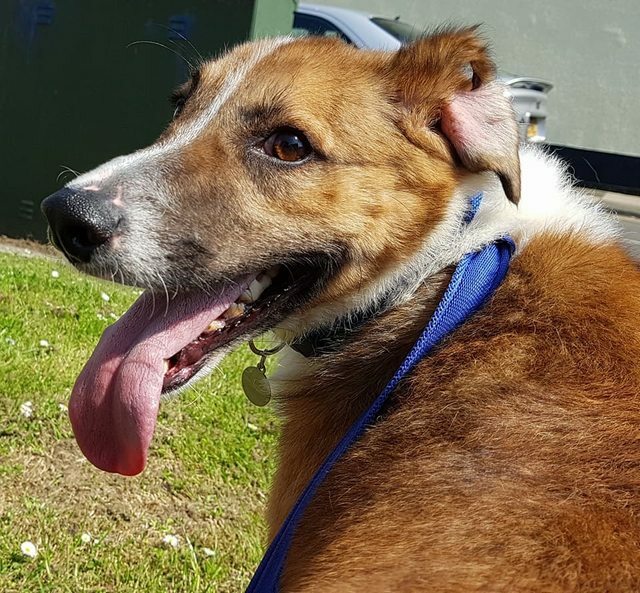 He is super affectionate and loves to run on the beach or fields but is equally in heaven curled up on the sofa on someone’s lap.